When you’re thinking about getting your teeth straightened you suddenly become aware of any mention of such processes in the media. As such, you may recently have heard about a thing called ‘Fastbraces’ or similar ‘quick’ and ‘cheap’ alternatives to real orthodontics. As the old saying goes ‘you can’t get cheap, quick and good – you can only get two of the three’. And in this case the ‘good’ is definitely missing (and quite possibly also the cheap, in the long run). Unfortunately, Fastbraces are just another marketing effort by non-specialist dentists veering wildly into teeth straightening – an area they aren’t qualified in. Orthodontists don’t dispute the Fastbraces’ claim that it’s possible to straighten teeth in less than 6 months. However, we do dispute the wisdom of doing so. Orthodontics is not just about straightening teeth, it’s also about correcting your bite so that the end result is actually stable. At brace5 we are often asked to rectify the eventual poor result and instability of these fast straightening options – meaning that those patients saved neither time nor money by taking the initial shortcut. 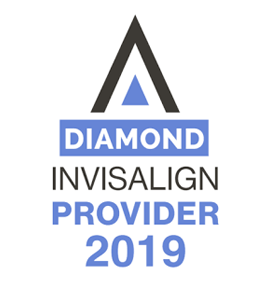 If your crooked teeth are simple enough to be corrected in 6 months with braces, then you are definitely a good candidate for Invisalign, which can get better results, and more comfortably.